Beloved husband of Maria, Loving father of Rosatina "Tina". 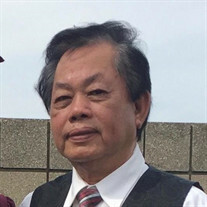 The family of Dong Kim Pham created this Life Tributes page to make it easy to share your memories. Beloved husband of Maria, Loving father of Rosatina &quot;Tina&quot;. Send flowers to the Pham's family.